By Dr Rebecca Nesbit and Professor Adam Hart who ran the Royal Society of Biology’s Flying Ant Survey. 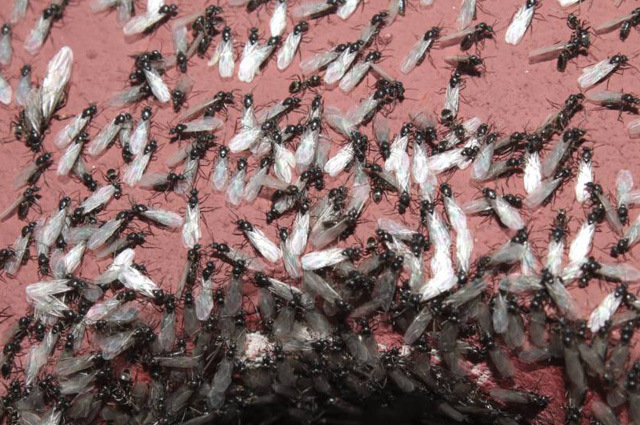 Five years ago, we embarked on the Flying Ant Survey to ask what we thought was a simple question: when does ‘flying ant day’ occur each year? The data, which has just been published in the journal Ecography, tells a far more complex story than we could have imagined. 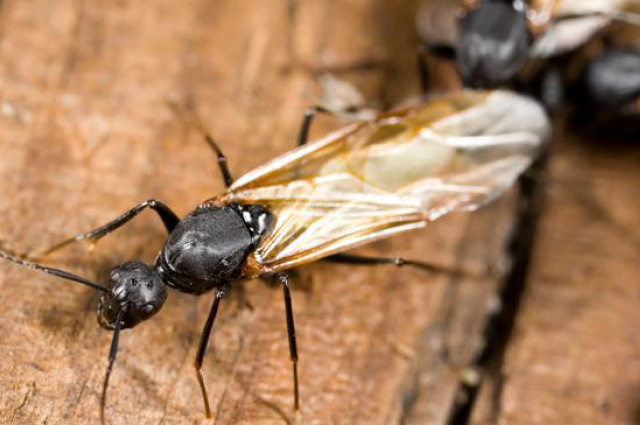 For three summers from 2012 – 2014, the Royal Society of Biology and University of Gloucestershire collected data to study where and when people around the UK saw flying ants. The first surprise was that ants emerged throughout the summer, and flights were much less synchronised than we had assumed. We had reports of flying ants somewhere in the UK on 96% of days between the start of June and the start of September. On every day that had an average temperature above 25°C, ants were flying somewhere. The timing of the peak in sightings differed massively between years. For example, in 2012 80% of the flying activity occurred in just a few days in late July and mid-August. In between these two peaks the weather turned cold and wet, preventing the ants from flying. In other years we found very different patterns. For example, the warm weather in 2013 resulted in repeated “pulses” of flying ant sightings across the UK throughout the summer. The findings also showed that flying ants are much less coordinated across space than might have been expected. Although we founds that flying ant emergences moved northwards and westwards across the UK over time, this was only a very small effect. One of our predictions which did hold true was that weather is critical in triggering ants to fly. By comparing records of flying ants with weather station data, we could untangle some of the factors that trigger ants to take to the sky. The conditions favorable for flying ants were calm and warm – they only flew when the temperature was above 13°C and the wind speed was less than 6.3 metres per second. In fact, it seems that ants are excellent at short-term weather forecasting. By examining the changes in weather in the days before and after each flying ant event, we discovered that ants were more likely to fly on days that were warmer and had lower wind speeds than the previous day. Overall, these results provided a fascinating insight into a species which is important for soil fertility and pest control. The species in question is the black pavement ant, Lasius niger, which is common around the UK, even in towns and cities. As part of the survey, thousands of ants were sent to us by survey participants, and approximately 90% of these were confirmed as L. niger. Without data provided by members of the public from around the UK, scientists have no way of studying the timings of the annual phenomenon, so we would very much like to thank everyone who submitted their records.